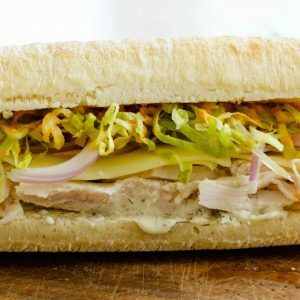 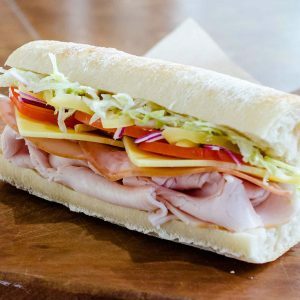 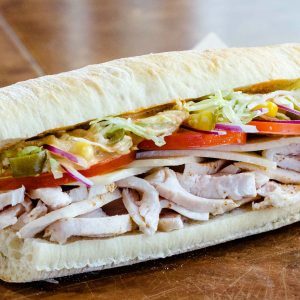 Sliced turkey breast, sliced leg ham, tasty cheddar cheese, sliced tomato, red onion, homemade banana peppers, shredded lettuce, dijon vinaigrette, and thousand island dressing. 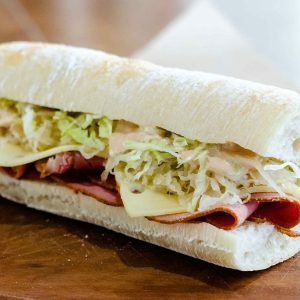 Peppered pastrami, swiss cheese, sauerkraut, shredded lettuce, and thousand island dressing. 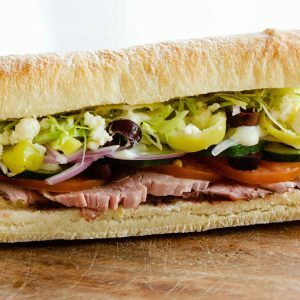 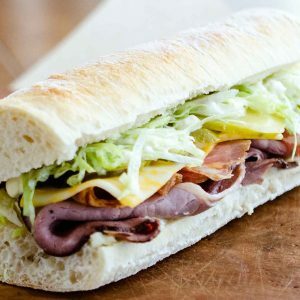 Prime roast beef, capicola, monterey jack cheese, dill pickles, red onion, horseradish, shredded lettuce and mayonnaise. 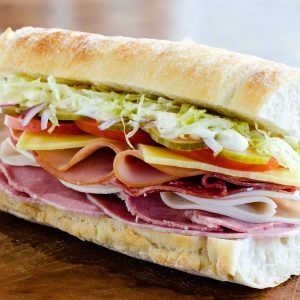 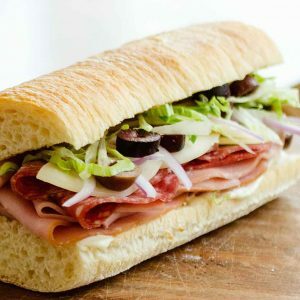 Italian salami, sliced mortadella, sliced leg ham, provolone cheese, red onion, kalamatta olives,shredded lettuce, mayonnaise, and Italian dressing. 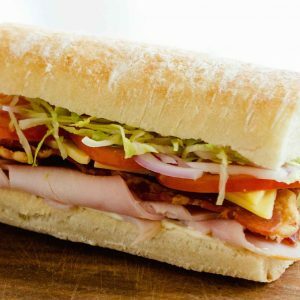 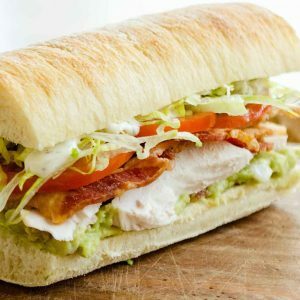 Sliced turkey breast, smoked bacon, tasty cheddar cheese, sliced tomato, red onion, shredded lettuce, and mayonnaise.